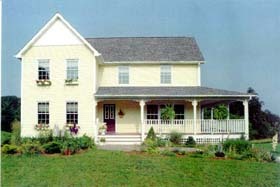 Our typical set of drawings includes floor plans, elevations, details and sections needed to build this house. You will need to check with your local building department to see if you will need any additional drawings to get a permit. Site plans and other requirements might be required.